There aren’t enough data scientists and deep analytics experts to go around, as we all know, so the race has been on to make advanced analytics more accessible to the average business user. SAS on Monday announced its latest effort in this vein through tighter integration of its SAS Visual Analytics (SVA) and SAS Visual Statistics (SVS) products. The product is among the announcements this week at the SAS Global Forum in Dallas, where I’m among the nearly 5,000 customers and influencers in attendance. The event kicked off Sunday night with CEO Jim Goodnight and executive VP and CMO Jim Davis spotlighting a range of products including SAS Customer Intelligence (aimed at marketing), SAS Visual Investigator (aimed at problems such as insurance fraud), and SAS Cyber Security, the company’s push into security due out this Fall. The integrated SVA/SVS release is hugely important to SAS as it’s the company’s next-generation platform spanning business intelligence – with self-service data-exploration, visualization and reporting handled through SVA – as well as advanced analytics – with prediction, statistical analysis, and modeling methods addressed in SVS, which was introduced at last year’s Global Forum. These products are also SAS’s big data platform. The SAS LASR in-memory server behind SVA and SVS is capable of running on Hadoop or on a dedicated distributed cluster as well as on popular relational database platforms. SAS is far from alone in trying to bring business users and deeper data experts together. IBM has blended Cognos BI and SPSS analytics capabilities through various software and services offerings in recent years, and in 2014 it introduced cloud-based Watson Analytics, a freemium service aimed at truly broad “any user” adoption. 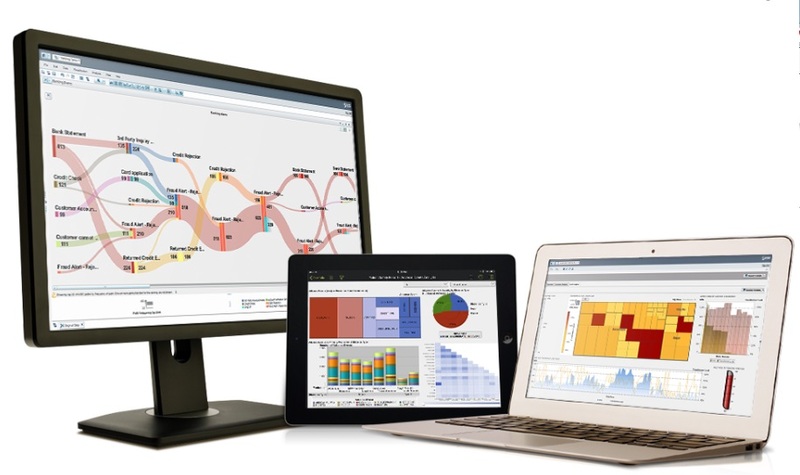 SAP’s latest attempt is the March release of SAP Predictive Analytics 2.0, which integrates the more business-user-oriented InfiniteInsight product SAP acquired along with KXEN in late 2013. Many other vendors are pursuing business-user/data expert collaboration, coming at it from both BI backgrounds (like Qlik announcing its Qlik Analytics Platform this week) and from the advanced analytics world (with Alpine Data Labs offering a shared business user/expert analysis workflow). Look for Microsoft to up its game in this area, too, in the wake of its recent acquisition of Revolution Analytics. Microsoft already exposes the Azure Machine Learning Service through its broad Power BI cloud offering. You can expect more predictive and statistical services from Revolution to show up in Azure and Power BI. All of these vendors are obviously going to make it as easy and cost-effective as possible for existing customers to take advantage of their latest products aimed at promoting business-user/data-scientist collaboration. But for customers who aren’t steeply invested in or otherwise committed to a single vendor, the question is, which product is the most user friendly, collaborative, capable and cost effective? Unfortunately, no one product is best by all these measures, and they target different user groups and deployment scenarios. The latest SVA/SVS release is entirely new, so it’s hard to difinitively say, based on an announcement, how it stacks up. My suspicion, based on earlier releases of SVA and SVS, is that it’s the most analytically capable among these products, but likely best suited to more data-analysis savvy users. Think business analyst rather than everyday business user. I’m set to get a closer look at SVA/SVS here in Dallas and at some of the other products mentioned here in the weeks ahead, so watch for a deeper report on how business users and data scientists are coming together.